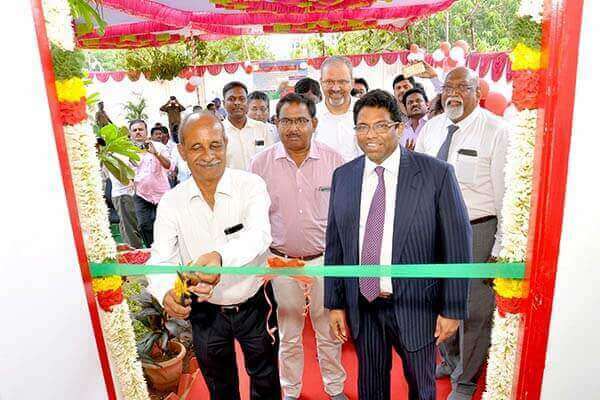 Sri City, April 4, 2017:- Kurnool Region Director of Postal services Mr. V Santhana Raman, IPS inaugurated and dedicated the Sri City sub-post office to the public on Tuesday, in the presence of Ravindra Sannaareddy, Founder Managing Director, Sri City. 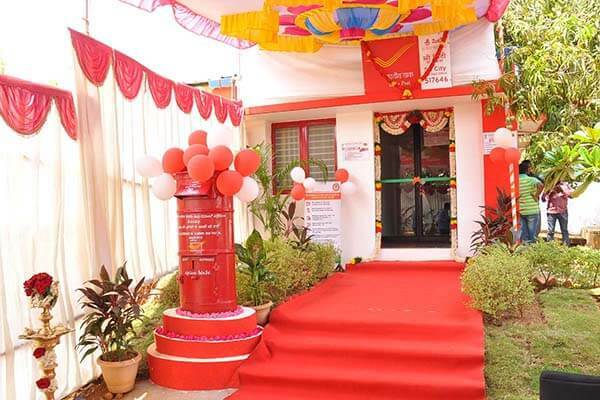 The post office has been allotted the pin code – 517646. He urged all companies to make changes in the pin code in their address and also on the websites regarding the newly allotted pin code for Sri City post office for easy and prompt delivery of articles. Speaking on the occasion, Mr. Santhana Raman said that the Sri City post office would offer, besides all conventional services, special services, viz Speed post, Business/Express Parcel, transport & logistics post, free pickup, door delivery, e-Post (to rush printed copy of electronic mails to those who do not have email, whose email ids are not known), my stamp – Personalised postage stamp serving publicity needs, financial inclusion, philately, Postal Life Insurance (PLI), etc., For speedy delivery of consignments and other articles, he said, “Depending on the demand, dedicated ‘motor mail services’ will be introduced between Sri City-Tirupati-Nellore-Chennai”. Mr. Srinivasa Murthy, Superintendent of Post Offices, Tirupati Division and host of senior postal officials in the division, senior Managers of some of the units of Sri City, among others, were present at inauguration ceremony. The Post Office is located on the Central Express way, giving easy access to users as it is centrally located at the industrial park.